A world without borders. 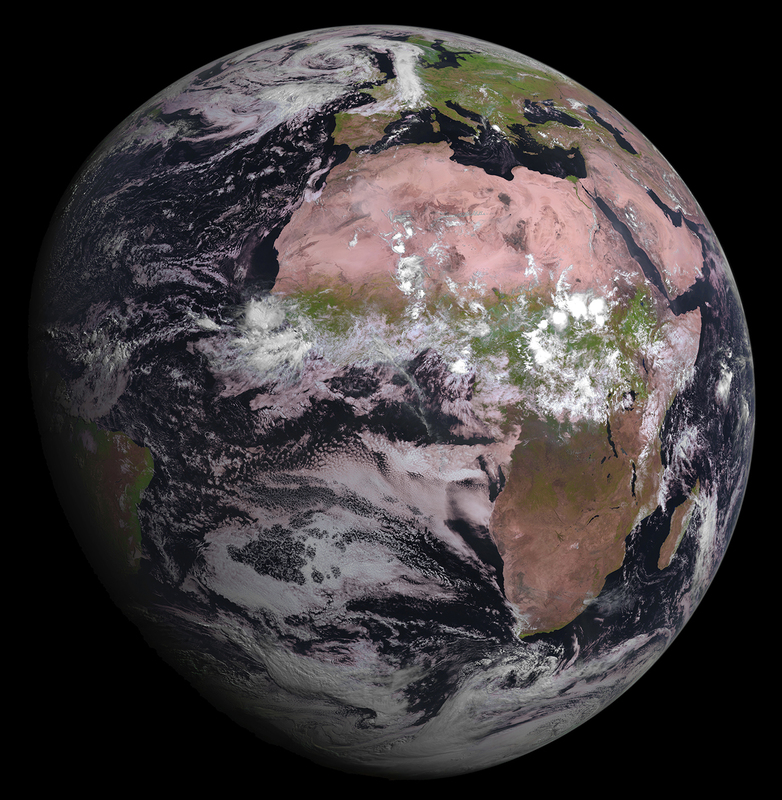 Image credit: Eumetsat. More than 120 people have lost their lives in a wave of terror attacks across Paris. While the match was being played out between the French and German national football teams at the Stade de France, terrorists were carrying out attacks at various locations inside Paris. The wave of violence leaves one truly speechless, pushing everyday concerns and problems firmly into the background. Once again, it is the public and civil society that has the task of facing up to this situation and sending the terrorists and those who pull their strings a clear message of solidarity: all struggles for personal advantage are set aside as we stand united in defence of the notion of peaceful coexistence regardless of borders, nationality, religion and culture. ESA, on account of its international nature, serves as a positive role model in this. The senseless carnage of Friday night must serve as a constant reminder that we must be bearers of these values and represent them at all times in our dealings with the rest of the world. It is our privilege to work in the space domain, which does so much to promote a world without borders. We must now channel the deep shock and sorrow we feel at Friday’s appalling attacks into promoting, even more strongly than ever before, values of peaceful coexistence. We have a special responsibility in this regard, which transcends any form of self-interest, since it is our society and its values that have been attacked at their very core. Let me conclude by extending our deepest, heartfelt sympathies to the friends and families of the victims. Thank you very much for those words, Mr Director General. we are facing very challenging times. Thank you for the best answer to terror – to spare no effort for more high tech innovations than ever! Research connects! Truly a horrible act. I hope everyone at ESA are all right. ESA HQ Daumesnil is roughly one and a half kilometre away from the Rue de Charonne shootings site. I imagine people working for ESA in Paris live through a horrible time. Our thoughts are with you all! Thank you for these very Good and beautiful words. Our thoughts are with the courageous people in France. Karen and Jon in New York City. I am a Lay Minister and will be preaching on Sunday. I have torn up my original sermon and I am struggling to find the right words to say after this terrible violence. I pray for all the victims and their families and I hope that some way may be found that we may all live in peace, even when we disagree. We all share your sadness. Our deepest condolences as well. We all join with you in our shock and sadness, our heartfelt thoughts for the victims and families, and in our resolution to overcome this violence and to envisage a world without barriers of race or religion. Thank you for a most balanced & human response to this terrible tragedy. If only those in government had the same qualities. I share the sentiments in this message. A beautiful city desecrated in a senseless act. My sympathies and condolences to those affected and hope ESA continues to inspire cooperation and understanding. Thank you for your words of wisdom which describe what we should consider and remember to let our lives not be dominated by hate or even resent. Hopefully our societies will keep their spirit of tolerance, democracy and free life. Merci beaucoup ; j’espère que les Français garderons leur calme et leur dignité, et ne céderont pas aux tentatives d’amalgames. Mes condoléances aux victimes. Vielen dank, merci beaucoup, dank u hartelijk, Go raibh míle maith agat, thank you so much Mr Woerner for these kind and sympathetic words! We at ESA are proof that international and multinational cooperation works. With respect for each other and positive use of our differences we at ESA achieve great things for all mankind. The culture of death and lack of respect embodied in such violent acts achieves nothing but destruction at all levels. We continue “ad Astra per aspera”. I share the comments of your recent correspondence This is and act of evil people against humanity. My heart of sorrow goes to the unfortunate people effected. well phrased message; humanity, tolerance & coexistence is more valuable than the values strived for by terrorists. They say to act on behalf of God, they misuse technology and they are more or less misled simpletons / criminals. Fine to notice that there are organisations like ESA and people like those working there, building towards a better world. My condolences to those involved. I am extremely shocked at what happened, I thank you for your great words, and for this wonderful image. I just wish everybody thought like that. There is nothing I can add to your words. Thanks, Jan! Sometimes the only way we can react to such acts is to continue to do our part in building the kind of society we want our children to inherit. Keep landing on comets, ESA. Thank you for your service. Thank you for these true words . The best way to beat those who want to drag us down in to the mud is to keep reaching for the stars. Thank you, sir. All of France’s friends join with you. Shock and deep sadness as I watch live the events in Paris from across the Atlantic near Montreal. I had to stop the car when the breaking news came in. Let’s all look forward to a closer bond as one race. The human race. Many thanks for your words, full of humanity but also hope for an open and better future. Thank you very much for your words. I am even prouder today to work for ESA which contributes to a better world. A totally sickening act of cowardice. No god justifies these horrific acts. Deep sorrow to all who have lost a loved one. I hope that altogether we will be able to find another answer to violence than violence, to exclusion than exclusion. Many thanks for your very thoughtful words which express the utter dismay of all of us for this utterly barbaric act. Merci beaucoup pour votre compassion et vos condoléances en ce triste moment de deuil qui touchent un grand nombre de victimes de la folie de ces barbares se disant aimer un dieu . Je partage aussi avec les victimes et familles ces triste moments et je prie pour que les nombreux blessés se rétablissent rapidement . Profound words. Thank you. Peace is a degree to Master. like you I feel utterly deverstated by the events of yesterday. My thoughts are with loved ones and indeed all the French people. Be strong in the knowledge that all of us in England and the rest of the world are with you, you are not alone at this terrible time. With those horrible carnage I’m beginning to think that ther’s something terribly wrong in the minds of some beings that they say belong to the human race.They’re not of what I call Mankind.We must,I think,isolalte and fight such beings,as they’re far from being re-educated.Soeone could think that this is Xenophobia,I call it Survival. My deepest condolences to all the victims families.Maybe in this terrible and painful way we’ll learn that adecuate education of the young ones is one of the keys of convivence. Vielen Dank für diese Worte! Wells and Wellington are the important. Napoléon is a citizen but the story is don’t finish. There is the hope of peace : Espérance give Liberté, Égalité et Fraternité. Une phrase pour la francophonie qui est diverse et culturelle au titre de l’humanité et de la couverture sociale. Your words and message are no less than what i/we have come to expect from the ESA. It is often I reflect on the common bond of Nations, people and ideals that the ESA fosters. It is a utopian society where you as a group have come together for our cause. Your example, not much unlike that concept of volunteerism, where everyone involved is there because they want to be. Putting aside the insignificant human indifferences and forgoing personal quirks, as new horizons are opened for the betterment of all. Without the fortitude of organizations, as the ESA which maintain the same conceptions of those in our distant past, who traveled the lands and traversed the oceans to open new opportunities for all mankind. These treks from our very beginnings, where we populated the the globe for the first time, then again and again as our modes of transportation advanced. Where now where with the ESA we are being shown how we might survive by reaching out to the stars together, and in peace! As a former head of the UK delegation to ESA’s AFC I can only applaud the Director General’s thoughtful and appropriate comments. I am so proud to have been associated with ESA and its values, which are in stark contrast to inhumanity that we saw on Friday evening. Thank you Director General for expressing it so well. Many thanks for your very thoughtful words which express the disarray of all of us for this horrible act. We can only ask God to save us from this mental storm and God protect us from an absurd war without borders. The one thing we don’t need any more of at the moment is more God and religion. Paris doesn’t need praying for, it needs keeping life on. Google Johann Sfar and what he has to say about that. We may know in our minds that what we do here at ESA serves the purpose of peace and prosperity, but sometimes it feels paltry and useless in our souls. Thank you Monsieur le Directeur for reminding us of our purpose. Thank you very much for your words. Being on the western side of the Atlantic we here cannot but wonder how long it will take for The United States or perhaps French speaking Canada to feel the anger of the militants against that which they really do not understand and that being free choice. Solidarity in the name of humanity will gain much more than the slaughter of innocents by the uncaring and unfeeling views of a few. Viva la France! Terrible barbaric act that poses challengues to West way of life. We have to look deeper into what causes this absence of humanity. My simpathy to all people affected by these coward attacks. I support the ESA due to its cooperative spirit crossing nations and cultures. May the peace within your agency influence spread and comfort all those in turmoil. Thank you for your appreciated words Mr Director General. We are unfortunately facing the beginning of a new era with anxiety planning above our door steps on a daily basis. The question is not will Charlie Hebdo or 13/11/2015 happen again – the answer to this is ”yes” according to all experts, but where and when! … on doit toujours ajouter quelque infos “plus large” sur les limites conventionnels que les hommes se donnent, eux meme, aussi quand on parlent de religion (..soi-disant, bien sur ) . 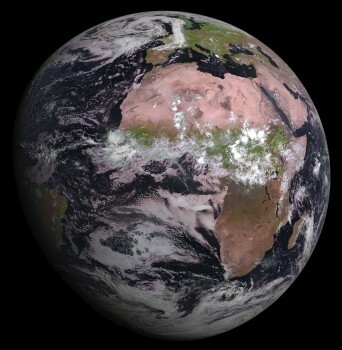 Votre image sur la planete (Terre) est belle et utile ( je souhaite… dans ce cas là) ..mais , j’ajoute de ma part , limitée… j’aime bien ajouter une frase d’un homme bien inspiré.. : ” une Culture est d’abord l’attitude fondamentale d’un peuple en face de l’UNIVERS” .. [André Malraux, .. ca va sans dire…]. L’Univers , Monsieur le Directeur… non seulement la Terre…. Thank you so much for the wonderful words. We all have to be brave and calm at a moment like this. Our hearts and love to the families and friends. I saw on TV a man playing John Lenon’s « Imagine » next to attentats’ area : that gave people hope. Danke – und was können wir als ESA aus unserem internationalen Universum heraus noch mehr tun? What a terrible thing to happen, thanks for the kind words. I completely share your words and thoughts. Devastating and heartfelt by everyone. It is sad that today, we can’t yet live all together in peace on our little Planet Earth that we all share and should be grateful for. We have to stay strong and remain hopeful that we can change this together and be able to coexist in peace one day. Thank you for keeping up hope and a long term view of thre situation, as well as for this blog. Dear Director General, thank you for your wise words! I dont have words to express ny sadness on this insane tragedy. My heartfelt condolences to the families who lost their loved ones. I have been to Paris many times and always loved the place and people. Whoever did it, no matter what country or religion they belong to, are undoubtedly evils and deserve to be hated not only by all humans but even by their parents who gave them birth. Shame on them. My heartfelt condolences to all my french friends on behalf of each and everyone from Pakistan. Thanks for those simple and human word Mr Woerner they are important in the face of in this De-humanised environment. Those fanatics may arm our bodies they will never get our soul and cannot stop our dream. mercury we look at the sun and all stars we study the initial moment of the universe, and much more..
We let those de-human people with the worms where they belongs. It is the fault, of the EU, for letting them in, so say the people. I also, am deeply sad, about the killings, we dont use words where I come from to candy coat things, its called killing, murder, by animals, not humans.not brave, they are cowards. As a veteran, there is a rule, no children, no women, no innocents, they have no rules bomb them all to hell. Those you girls, their lives taken, kills me inside, Americans call on the French, to defend yourselves. we will.